By 1971, Fab 2 required employees to wear smocks but not head coverings or leggings. It also became popular to shorten the garments into mini-smocks and or cut off the sleeves, personal touches that made the garments more fashionable, but hindered their already limited effectiveness. Moreover, smocks were not kept sterile — employees simply took them home and washed them, a practice that was fine for conventional cleanliness but did nothing to prevent the small particles (like dryer lint) that could ruin a microchip. The common practice of personalizing smocks with embroidery or other embellishments that contained small fibers and threads exacerbated the problem. 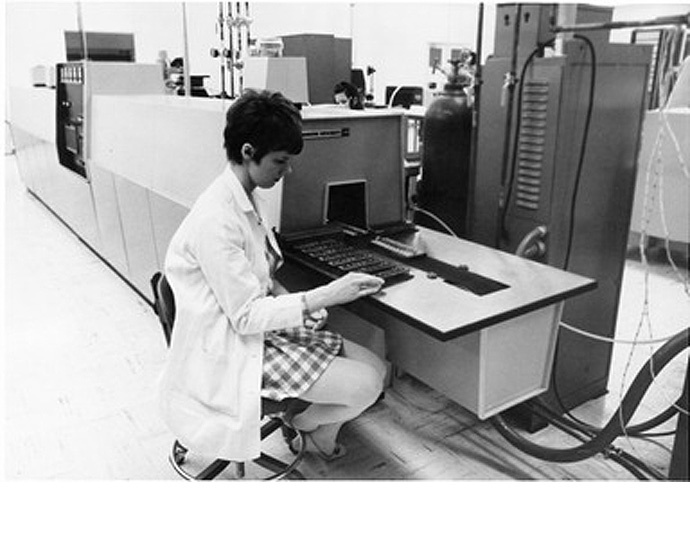 More rigorous clean suit protocols began at Intel with the opening of Fab 3 in Livermore, California, in 1973. 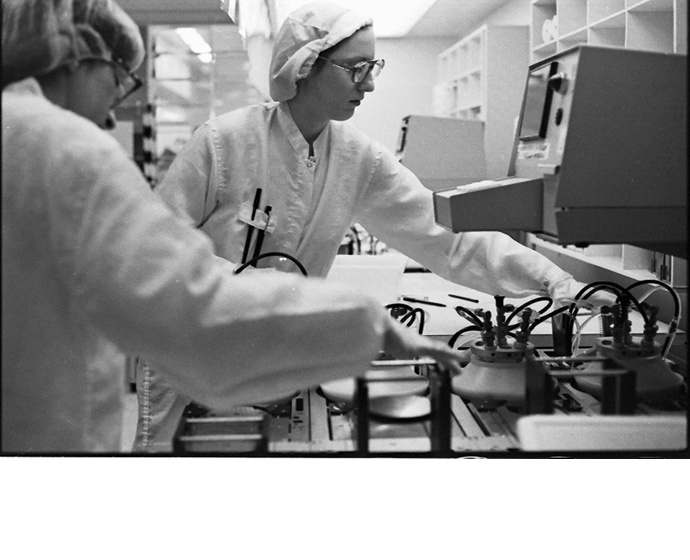 Gene Flath, who managed wafer fabrication at the first three fabs, recalled the new coverall “bunny” suits receiving a lot of attention for their novelty: “People used to find excuses to visit Fab 3 just so they could put a bunny suit on.” The suits would gradually spread throughout Intel’s other facilities and become the companywide standard by 1980. Their design would be a continuous work in progress, always keeping pace with the increasing intricacy (and commensurately increasing needs for purity) of microprocessors. 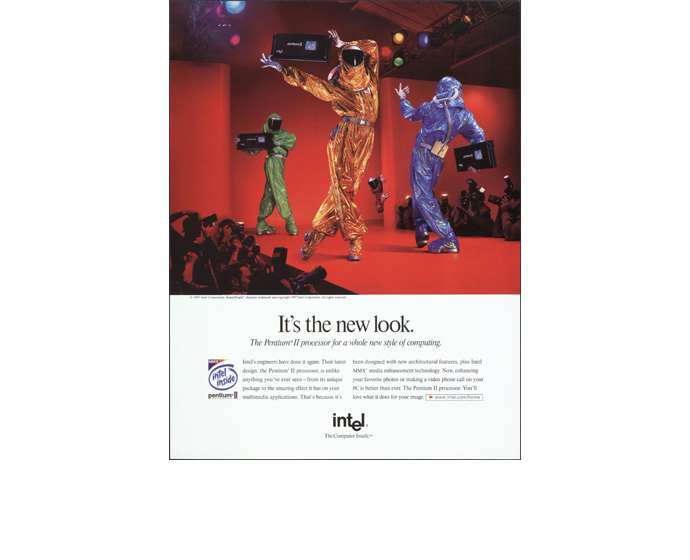 In 1997, the bunny suit entered the American consciousness and became forever associated with Intel when the dancing “Bunny People” made their debut in a commercial for the Pentium MMX during Super Bowl XXXI. It was the beginning of one of the most successful and recognizable corporate mascots in history and quickly became an icon of Intel. The dancing mascots would turn up in print and television advertisements and make personal appearances, while dolls and promotional items bearing their likeness would become popular tchotchkes. The bunny suit would remain a popular company emblem thereafter. In 2012, students from Rosemary Elementary School in Campbell, California, provided the illustrations for “The Adventures of Chip and the Intel Bunny,” a book Intel developed to help children understand the company’s technology. The bunny suit had become such a universal emblem of Intel that even grade-schoolers followed the association.